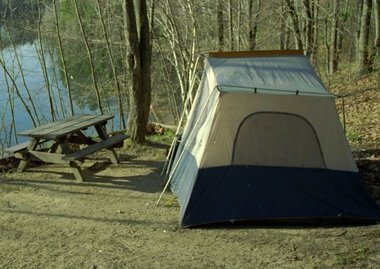 Eighteen of Michigan’s more popular state forest campgrounds are being added to the state campground reservation system this season. That’s a first for the remote and rustic campgrounds that have always operated on a first-come, first-serve basis. “It made sense to allow those sites to be reserved,” said Tim Schreiner, manager of Traverse City State Park and the man appointed within the Michigan Department of Natural Resources to usher the state forest campground program into a new era. The agency operates 131 rustic campgrounds. Most are small and primitive, offering tent pads, picnic tables, fire-rings, pump-water and pit toilets. They are popular with the get-further-away crowd who prefer a quiet night under the stars to crowded state park campgrounds. The 18 campgrounds added to the reservation system are both popular and located near a state park, according to Schreiner. That proximity is crucial, he said, because state park staffers will be handling reserved-site management. The DNR’s state forest campground program was shifted to the Michigan State Parks Division earlier this year. DNR Director Rodney Stokes moved it out of the agency’s forest management division where it was languishing. The change was to streamline the forest division so it could focus on trees and timber. State Park chief Ron Olsen said he intends to reposition the rustic campgrounds and increase revenues from them by improving management and making them more prominent. Reservations can be made online at midnrreservations.com. The cost is $8. A state recreation passport also is required to camp at state forest campgrounds. That requirement was approved by Stokes in March. Passports cost $10. They can be purchased when annual license plate renewals occur. Campers also can order them at state forest campgrounds. The payment envelope for camping fees has been redesigned with a tear-off segment as a temporary receipt, according to DNR staffers. “If people already have a passport, they won’t need to worry about it,” said Brenda Curtis, the DNR state forest campground program manager. This entry was posted in Uncategorized and tagged Camping, DNR, Rustic Campgrounds, State Forest, State Parks. Bookmark the permalink. Of all of these, it seems only the Elk Hill campground has been added to the reservation website. What happened? Matt: From what I’ve heard, it wasn’t a very successful experiment and the decided to discontinue advance reservations at most of those rustic sites.